Master Blade Sharpener Peter will be on holiday Apr 6th-20th. All knives dropped off at the shop will get worked on only from Apr 23rd (Tue). We are a small Japanese shop in Halifax, NS, Canada. Our aim is to introduce authentic Japanese culture. From the traditional (pottery, tea, incense, etc) to the modern (anime, kawaii). Plus, of course, our specialty: Ikebana, Japanese flower arrangement--supplies, lessons & services. Visit our online shop for a wide range of ikebana supplies! We bring a taste of the Japanese aesthetic to Halifax. Leave the weariness at the door. Come in for some relaxed shopping and interesting conversation! 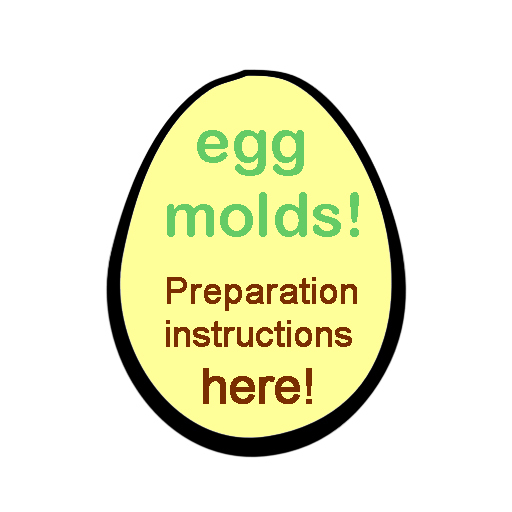 Looking for the egg mold instructions? Mon 10:00 a.m. - 5:30 p.m.
Tue - Fri 10:00 a.m. - 6:00 p.m. Sat 12:00 noon - 6:00 p.m.
* Closed on Sundays & public holidays, except on lesson Sundays. Save the dates! Join us for lots of ikebana in May! 基本立真型盛花。Basic Upright Style Moribana by Ali J. 直か留め。Jika-dome (Direct Fixing). Arrangement by Susan R.
上からの目線を意識する。Keeping in Mind The View From Above. Arrangement by Val S.
Exploring Japanese Culture at Ross Creek. Click to read about it! Caring for your ikebana clippers. Explaining the kanban and the gagoh. Introducing the kenzan of the 21st century! Why should you use the black kenzan? Stay in touch! From trivia to important announcements ...more content in our social media sites!